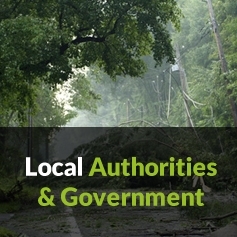 Clarke's Tree Care work alongside homeowners & landlords, schools & universities, public spaces and parks, roads and highways agencies, in addition to commercial developers and estate managers to carry out their tree service needs throughout Dorset & Hampshire. 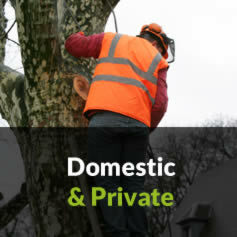 We aim to be the best value tree surgeons locally without compromising safety or customer service. We've a proven method for delivering responsive, safe tree services including Emergency Tree Work due to storm damage, to Specialist Arboricultural surveys and full tree removal. For our full list of services click here. Upon receiving your enquiry we will schedule a time to appraise the site free of charge that suits you. 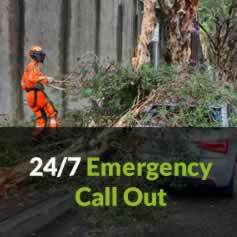 In cases of emergencies, we're able to respond 24/7. Our free site surveys enable us to meet with you, investigate your requirements and determine the best course of action, providing you with both experience-based advice and a free quotation. 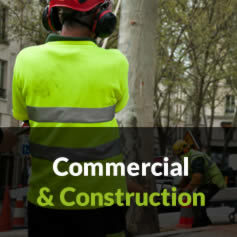 To arrange your Free site survey or for more information about our Tree Felling services, contact us today.